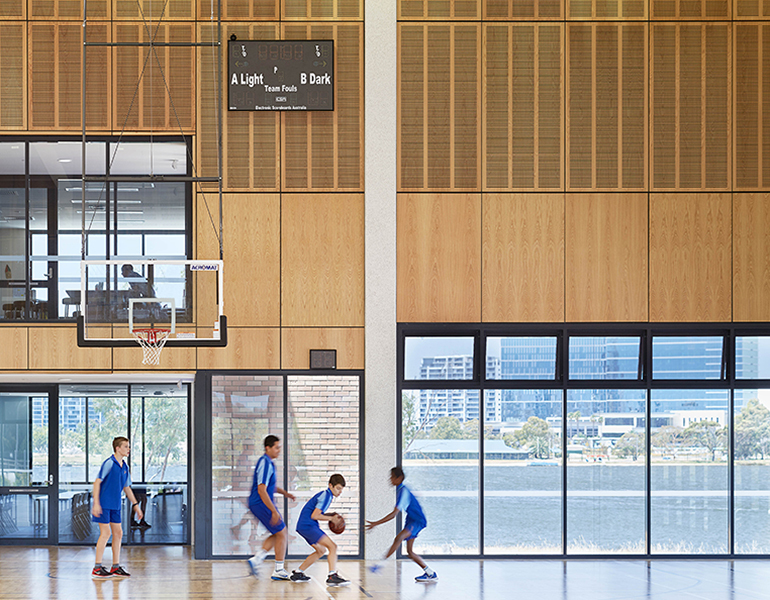 The new Multipurpose Facility at Trinity College in East Perth, Western Australia, looks out over the Swan River and adjacent playing fields. 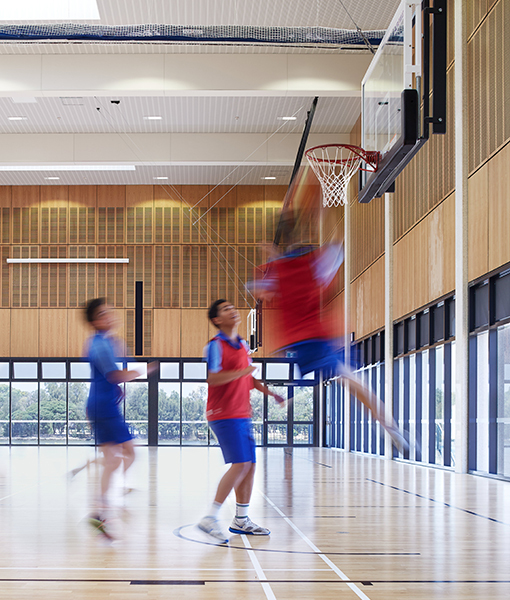 It comprises a state-of-the-art double court gymnasium and all-of-school assembly space, together with general purpose learning areas, storage and other associated facilities. 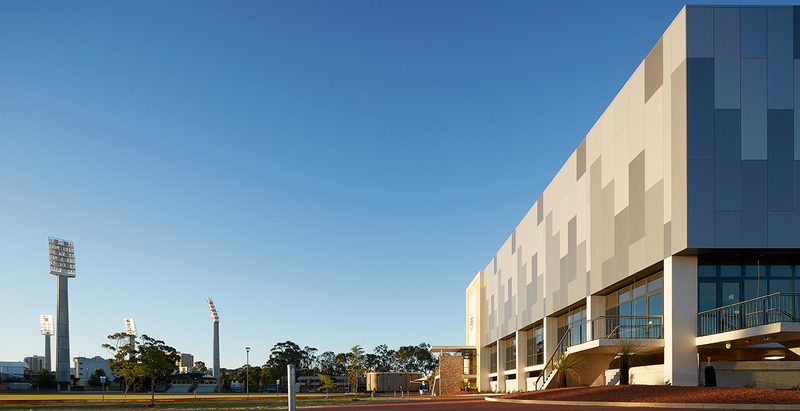 The new building is designed to have an iconic presence that represents the College’s identity, highly visible from the campus entry and the Swan River. Flood protection was included to address the predicted rising water levels over the next 100 years. The new multipurpose facility complements the existing buildings on campus. Where appropriate, colours were selected to complement the colours of the College. 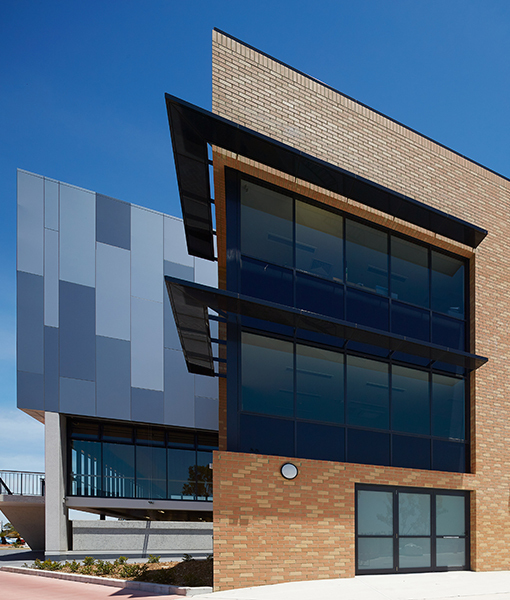 The building physically connects into the existing built form with clear and legible pedestrian circulation. 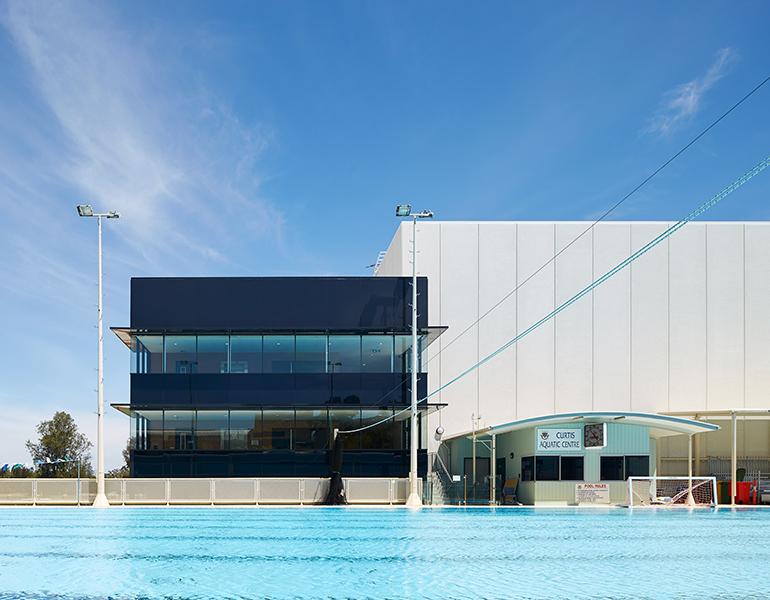 Natural lighting and ventilation is provided together with panoramic views to the exterior. 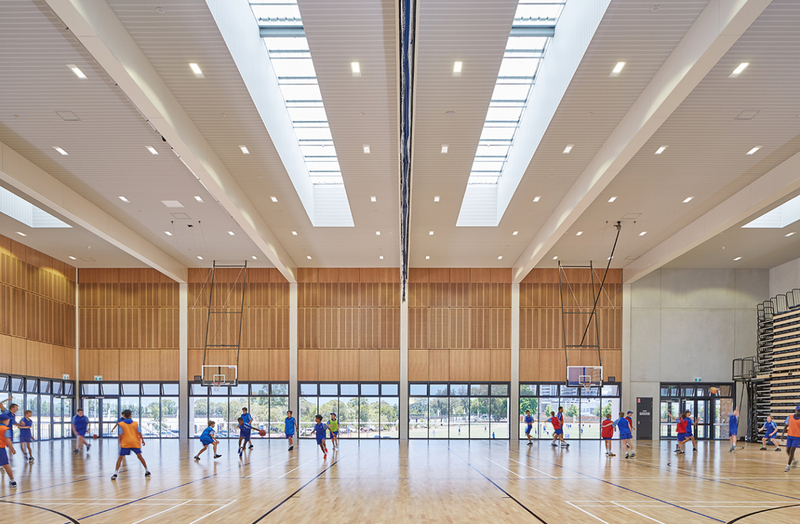 Insulated & perforated acoustic ceilings and perforated timber wall panels provide thermal and acoustic comfort inside.